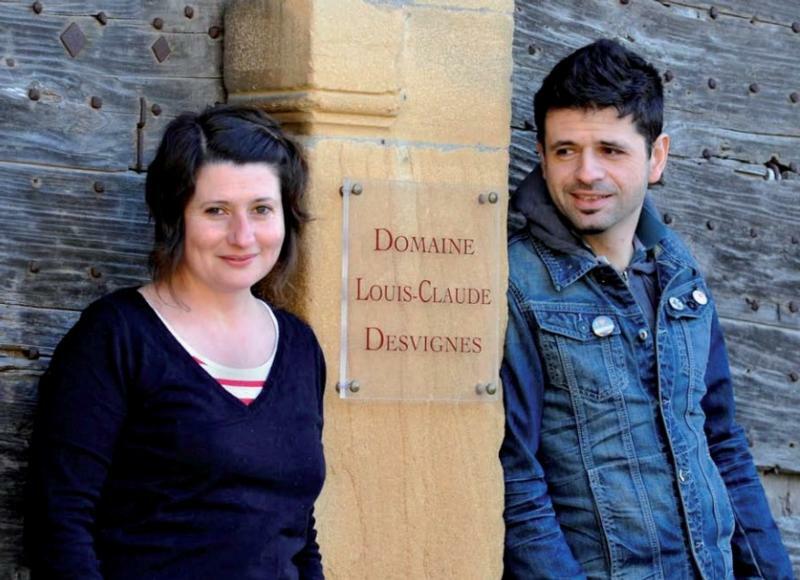 The Desvignes family, as the name suggests, has been making Morgon for generations. The vineyards are on the Montagne de Py in the center of Morgon, the fruit of which is of far superior quality to that produced in the outlying areas of the appellation. If there were a classification of vineyards in Morgon, Côte-de-Py would be a premier cru and Javernières a grand cru. They are located on the best exposition of the hill, with soil of decomposed schist, and Javernières is a plot within the Côte-de-Py with a little more clay. Morgon is, along with Moulin-à-Vent, the most age worthy of the Cru Beaujolais and Desvignes wines are fine examples. The wines age terrifically well and take on the character of Pinot Noir, or pinotize (the term used in Beaujolais). When young, the character is of dark cherry, raspberry and blackcurrant. With age, the wines become more earthy, velvety with cocoa and coffee tones. At the requst of the importer, Louis/Dressner, the wines are bottled unfiltered some years or at most lightly fined.